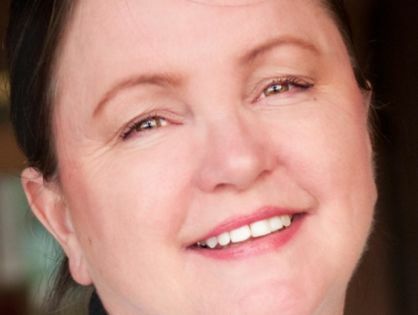 In our interview below, cookbook author Cathy Barrow talks about the importance of social media to connect and “meet all the people”. This is ironic, because social media is how I met Cathy. She’s been a friend to me, and many others, on Twitter and Facebook. Through our regular social-media-led interactions, we got to know each other well enough that I felt comfortable emailing Cathy to ask a few questions about cooking classes she taught in her home. Not only was she responsive to my questions, but her answers were helpful and thorough. 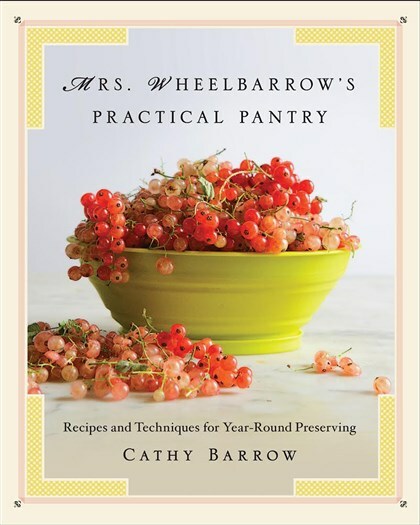 A few years passed and I had the good fortune to meet Cathy at a cookbook conference. True to everything I imagined, Cathy was friendly and we were happy to meet in person. In my experience, most cookbook authors are like this – helpful and willing to share what they know – all you have to do is ask. 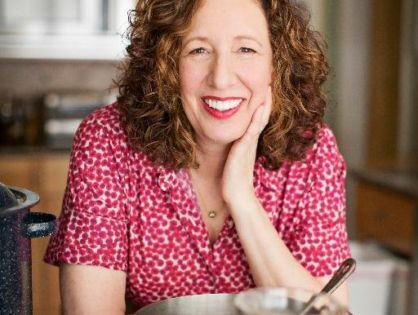 I hope after reading Cathy’s interview that you’ll agree: She’s wants aspiring cookbook authors to succeed in getting their cookbooks published too. I’m not sure I was compelled to write a cookbook, I sort of slipped into it once I started my blog, got some notice on the internet for my recipes, and people started asking me if I wanted to write a book. I don’t mean agent or editor people, I mean readers. Nevertheless, I suppose that got me thinking. Was your blog a driving force in obtaining a contract? Yes, there’s little doubt that my blog helped, but more than that, writing for national publications helped pave the way to obtaining a book contract. But I never could have written for national publications without getting noticed for the writing on my blog. I spent about a year writing a book proposal. My agent, Martha Kaplan, was very helpful editing and commenting and helping me prepare the proposal. I never could have done it without her. Martha sent the proposal out to a number of publishers, there was an auction, and I opted to work with W. W. Norton and the legendary editor, Maria Guarnaschelli. Aspiring writers should be writing all the time anyway. Practice, practice, practice. And what better place to do that than a blog, which also helps to build your audience? Social media is imperative these days. You just can’t expect to get a writing gig without social media to go right along with it. Facebook, Twitter, Pinterest and Instagram are all important. 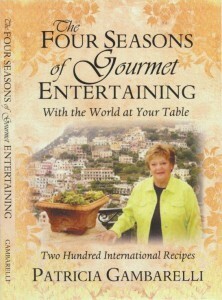 Cookbook Author Interview #2: Sharon Palmer, RDN: It’s Important To Do Everything You Can To Get Your Book Out There! 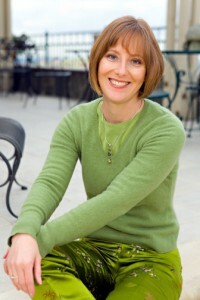 I interviewed Sharon Palmer in January 2012 about her first book The Plant-Powered Diet. 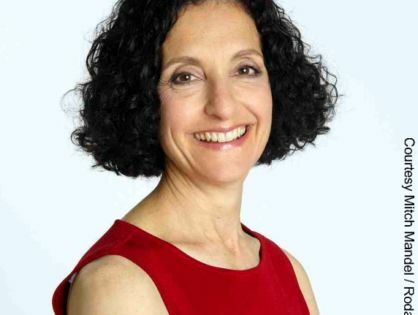 Sharon is a Registered Dietitian and has figured out the formula for translating a powerful nutrition message about plant-based eating into book format. 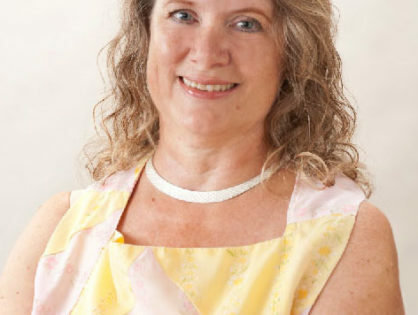 She was willing to participate again in this interview series and shares here her tips and ideas for writing cookbooks. My first book was “moderately successful” as my publisher and agent put it. So, they were interested in my writing a followup right away, while there was still interest. Apparently, that’s a good idea in the publishing biz. While you are still on the radar. But more importantly, I loved writing my first book. Don’t get me wrong, it was so much work, but it was a labor of love. To have interest in writing a second was icing on the cake. If I could just write books and my blog, I’d be a happy camper. I had an agent, my same agent from the start. She and I talked about my second idea, honed the focus and then first pitched it to my first publisher, whom I was very happy with. Fortunately, the publisher really liked the idea, so it went very smoothly. You don’t have to. It’s the route that I took. I don’t think you have to have a blog, but it helps. I feel that my blog gets my name out there and I have a following—a community. I’m not sure how closely that related to book sales, but it helps get word of mouth out there, and that’s very important if you want the media to pick up your book. When you write a book, you have to do most of your own promotion—even if you have a publisher. It’s important to do everything you can to get your book out there! I met Maureen through the Kentucky Food Bloggers group on Facebook. When I learned of Maureen’s cookbook contract, I was thrilled for her. 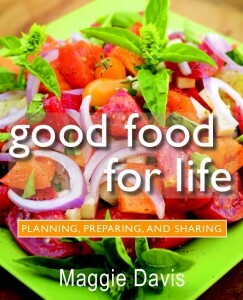 Over the past few years, I have come to know Maureen as a committed aspiring cookbook author. She seizes opportunities to learn about food and cookbook writing through seminars offered by a professional organization to which we both belong, the IACP (International Association of Culinary Professionals). She selected her audience, created her content focus, and approached an agent. Then, as she dreamed of doing, she landed a contract with a publisher. 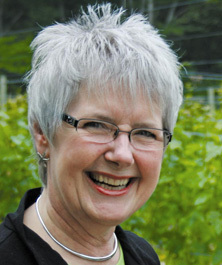 Congratulations to Maureen on her forth-coming cookbook, due for publication in 2016. This interview offers a pre-publication look at how Maureen arrived at where she is today. I wish her luck on manuscript transmittal to Storey Publishing over the next few months and great success with her cookbook. Forthcoming and tentatively titled, Eating Salmon (Storey Publishing). My official deadline to Storey Publishing is March 6, 2015. According to Storey Publishing, the book will be released 9 to 18 months from that date. In 2009, after working 23 years in the food service industry, I was ready for a change. 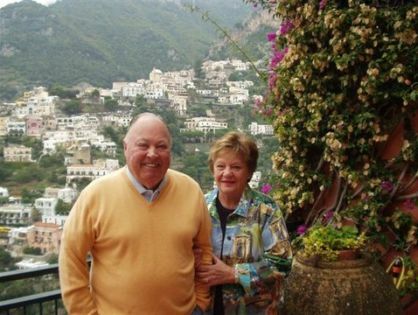 I’d managed a 64-seat breakfast and lunch restaurant for ten years in the Florida Keys, then I sold groceries for Sysco and a few food brokers in Central Florida. After that, I landed in the wholesale seafood business where I bought and sold commodity fish. While I worked, I began to dream about writing my memoir and a seafood cookbook to help people not to just eat more seafood for a healthier diet, but the “right” seafood. In 2010, I thought the memoir was the place to begin my writing career and I pitched my memoir to an agent at a writing conference. She suggested I write a cookbook first. I queried Danielle Svetcov (Levine Greenberg Literary Agency) after reading her interview on Dianne Jacob’s blog. Svetcov told me my idea was doable, but not for her. She recommended me to Margaret Sutherland at Storey Publishing. 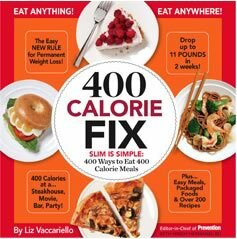 In February 2012, I attend a 2-day Cookbook Conference in New York City. (It was subsequently held also in 2013, but hasn’t been held since.) The sessions I participated in were about cookbook writing and cookbook publishing. On the opening day I had the pleasure of meeting June Hersh. June participated on a panel discussion about cookbook publishing. The panel included an agent and several cookbook authors – one of the authors was June. I loved the energy with which she spoke about writing a cookbook and it wouldn’t be a stretch to say that everyone in the room could feel her passion about the topic. During her part of the presentation she also she encouraged aspiring cookbook authors to pursue their dream of writing their own cookbook. To add a personal connection to this encouragement, she handed out her business cards in case we wanted to contact her when we got home. At this point, I had already had published my first cookbook, but because I work with aspiring cookbook authors and June’s message resonated with what I believe about writing cookbooks, I sent June an email and asked if she’d be willing to participate in an interview to kick-off my Cookbook Author Interview Series. She quickly answered yes, and my Cookbook Author Interview Series was born. Since that inaugural interview with June, I have published over 30 cookbook author interviews on my blog. The interviews provide traditional- and self-published cookbook authors the opportunity to share information about their book or books, their publishing avenue, the use of agents, their experiences with recipe development, publicity and even use of a print broker for self-published books. To kick off the new year, I will soon publish my interview with Maureen Berry. Maureen recently submitted her first cookbook manuscript to Storey Publishing and as she’ll tell you in her interview, she honed her concept and engaged an agent and a publisher in her idea. Her book on salmon will be published in 2016. Throughout the course of 2015, I plan to interview at least 20 more cookbook authors. I believe we can all learn from each other in our publishing experiences. For anyone who aspires to write a cookbook I hope you glean useful information and tips about cookbook writing from these interviews. If you’d like to read the now 3 year-old interview with June Hersh here’s the link. Even though time has passed, her message still resonates: if you want to write a cookbook, you can do it. 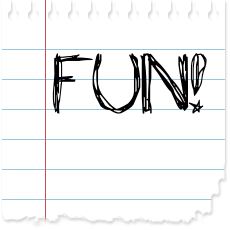 Just find the fun in your passion. To read more Cookbook Author Interviews from 2012 – 2014, here’s a link to the interviews. Scroll down after each interview to see the next one. Let me know what you think about the interviews and if there are any questions you’d like me to ask the authors in 2015. Today I have the pleasure of sharing an interview with Angela Grassi – one of my recent cookbook coaching clients. Angela is smart, energetic, and knowledgeable dietitian and she knew that she wanted to write a cookbook several years ago. I met her at a national meeting for dietitians and we talked about her cookbook dream then. Having self-published her own books before, she knew going into this project that she would also self-publish this cookbook. And no surprise – she succeeded. I hope you enjoy this interview with Angela, and her advice about writing, and self-publishing, you own cookbook! Yes! 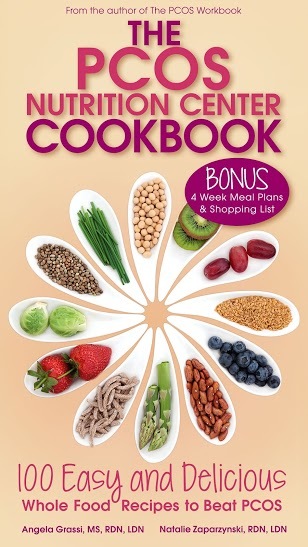 I’ve written 2 other PCOS books before but never a cookbook. Did you have a food blog or other established platform/audience prior to writing your cookbook? I founded the PCOS Nutrition Center where I have a blog and sell my other books. I also have a Facebook page and all the other social media outlets, so an audience was already established for some time. Patients would always ask me for PCOS-friendly recipes and meal plans. There is only one other PCOS cookbook out there. The market was wide open. 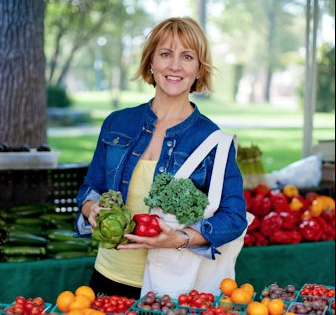 My cookbook focuses on whole foods and includes an introduction about what whole foods are and how they benefit PCOS. There are so many cookbooks out there, so I would only recommend self-publishing if you already have an established audience or if your cookbook is different from anything out there. You have to do your research to find out what you are in-store for. 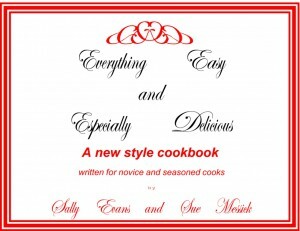 I had already self-published my other books so I felt comfortable publishing my cookbook. Working with Maggie helped me understand what else I needed to know about writing cookbooks like defining a style, expectations for working with my co-author who I contracted to write some recipes, and which recipe analysis software to use. Enlist help. Don’t try to save money by thinking you can do things yourself. Hire an editor. Hire someone to help you write recipes if you need to. Take your time to find a designer that you like and feel comfortable working with. Look at other self-published authors’ covers that you like to get recommendations. Have friends and family test out recipes. It’s great being an RDN and having colleagues who can cook. I asked a few of them to contribute recipes for the cookbook. What was your biggest challenge in writing your cookbook content? Tell me the name of your cookbooks and the year they were published. Great Chefs Cook Vegan, Gibbs Smith, 2008. Virgin Vegan: The Meatless Guide to Pleasing Your Palate, Gibbs Smith, 2013. Can you tell me how you were offered a contract for your first book? Did you have an agent? I had no agent. About the time I was thinking about arranging for one, since I had the idea for the Great Chefs book already, I attended the BEA, The BookExpo of America at the NYC Javits Convention Center (held annually at the end of May) and met Mr. Gibbs Smith himself at their large booth. As soon as I told him I had an idea for a vegan book that involved the elite chefs of the country his immediate response was to ask if I had time for dinner the following evening. We talked about the growing need for vegan cookbooks and I offered him several other ideas with the theme that would attract various audiences, but at the end of the evening he asked that I send a one-page overview. While preparing it I realized that being a first-time author I should let him know my background a bit more and that I was quite qualified to make such a book. So, I included more pages that covered marketing statistics, marketing and PR ideas, more book titles, along with my qualifications in the food and corporate world. In a week I had a contract back by email. No further discussion. I then showed it to a literary lawyer and made a few suggestions of which they accepted all of them. I was then assigned an editor. It was glorious that I was left alone to make the book as I saw it, just checking in from time to time to state where I was in the process. Did Gibbs Smith approach you about your second book, or did you approach them? I had been thinking about doing a simple book, one that reflected all the points I have mentioned to others over 35 years of being vegan. People always seem to ask the same questions and there just was not a book simple enough, a book with just the basic facts, speaking points, basically. There are books with so much information…book-books, so to speak. But, I was weary of doing another book as I also do the photography and it takes all my time. Having not mentioned this to Gibbs Smith I was surprised when they called me one day on a conference call with the president and an editor to suggest almost the same book I had been rolling about in my mind! It seemed suddenly like a calling. But, it turned into the addition of a website, and video talks with notable vegans, almost 50! They are gradually being added to www.virginvegan.com and www.youtube.com/virginvegan. Do aspiring cookbook authors who want a traditional publisher need a food blog? Mindy’s first solo cookbook was a unique situation where she wrote the book as work for hire. 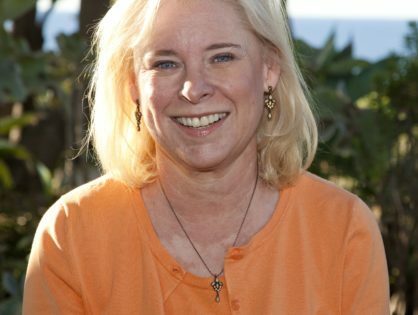 In this interview, Mindy describes the advantage and disadvantages of this writing arrangement and encourages aspiring authors to find a unique voice for their book. Yes. 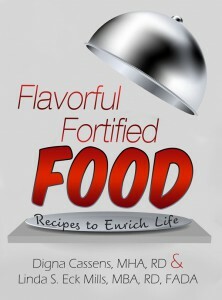 I coauthored other books but this is the first one for which I developed recipes. Can you tell me how you were offered a contract for your book? Did you have an agent? A magazine editor I had written for contacted me because she thought that I could both write and develop a diet and recipes. My work life was quiet so I said yes, even though I had never done a cookbook before. I cooked all the time at home and also analyzed recipes, so I felt somewhat confident that I could pull off the project. Tell me about your experience as “a work for hire” author? What I like about work for hire is that projects have a tight beginning, middle and end, and they pay in a more compressed timetable than an authored book does. So I get paid upon submission and acceptance of the manuscript rather than having to wait until a book comes out. What I don’t like is having to negotiate to have my name attached to the book, although at this point publishers are willing to list my name as a “with” or “and”. Did you have a food blog? Not at the time that I was hired. That’s a great question. The world has changed a lot in the four years since I did my first cookbook. Publishers today want authors who are established and bring their own readers in the form of several thousand Facebook friends and Twitter followers. My professional opinion is that a food blog is almost mandatory, unless an author gets lucky or has a lot of connections in the industry who can make introductions and open doors. What is your advice for an aspiring cookbook author reading this interview that wants to pursue a publisher? First, try to find a unique voice. While there’s a lot of competition in the field, great ideas continue to abound. The great thing about blogging and tweeting is that they allow prospective authors to explore different directions to learn what resonates most with readers. Use social media to develop two-way relationships with readers — they can be a great source for ideas and inspiration. Many people ask if cookbooks are dead, or dying, like other print books? Do you have any thoughts on this? I may be biased, but I think Registered Dietitians are perfectly suited to write cookbooks. As experts in food and nutrition they can uniquely use cooking as a key to their clients eating better. 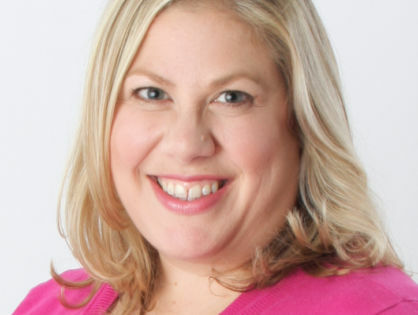 In this interview with Maggie Davis, RD, we see that she was approached by a publisher about writing a cookbook after the success of her first book. Can you tell me how you were offered a contract for your book? 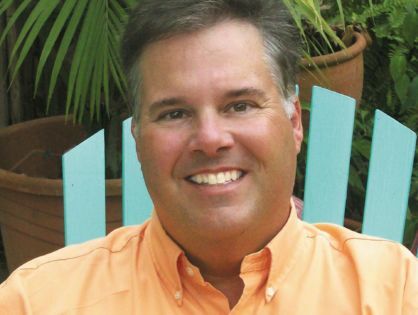 I was approached by the publisher of my first book (Your Whole Life, co-authored with Carol Showalter) to write a cookbook that would appeal to their audience. I had already worked with the Editor in chief of Paraclete Press and he said that he would like me to author a book specifically on Food and Nutrition which would be a part of their product line. My original co-author was initially a patient of mine as well as the Publicity Director of Paraclete Press. Did you retain an agent? No, I negotiated the contract myself. What tips do you have for negotiating your own contract? I think that I was really lucky dealing with my publisher directly and I would really encourage writers to seek the advice of an agent in this process. I think it is an advantage to have a blog and/or a website or newsletter. I am writing a proposal right now for another book dealing with weight management, and I will be hiring an agent to approach a larger publishing house. I think that the market for cookbooks is less than it was several years ago so I think that including e-book options in a contract is quite important. The format of the book should also lend itself to use on tablets, etc. For me the biggest challenge was to test the recipes, since I am a cook who seldom cooks the same dish twice. I usually include ideas for substitutions and variations so that the home cook would have options using the recipes as a base. I also had to provide all of the photos. Any thoughts you’d like to share on the marketing and sales for your cookbook? 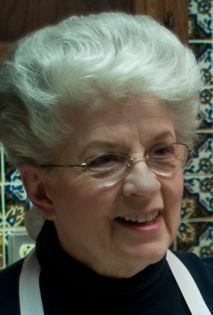 Teresa George is a member of the Cookbook Writers Group on Linked-In. When I asked if anyone in the group would like to participate in this interview series Teresa volunteered. She knows what it’s like to dream of writing a cookbook then making that dream a reality. Thank you, Teresa for sharing your experience with self-publishing your cultural cookbook. No, I didn’t. Actually, I had no idea what a’ blog’ was until this year, when I really started paying attention to what was going on in the online world in order to market my book!! Firstly, I love cooking. My earliest memories of food are from age 5. I started cooking for myself and others when I was about 8 years old. I’m the most relaxed and creative when I cook or read about food! Secondly, I’d read an article about career change (I was thinking about it and it triggered my thinking about future possibilities). Then a friend and I were one day talking in 2001. We found we had a common interest in food and its connection with culture, history, family and community. So we decided to write our own book with all the elements that we’d like to have in a cookbook! 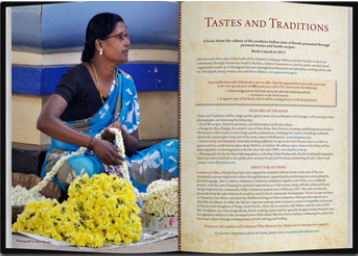 Initially it was just Kerala recipes we loved (from south-west India), then we added our own family stories. Leela passed away in 2011 and so the book now features her childhood stories and her community’s unique culture. It is a cultural cookbook. Cookbook Author Interview: Sue Messick: Set Your Cookbook Goals and Keep Working! I was intrigued with Sue Messick’s story about her cookbook because she wrote it with her mother. It took them almost 14 years to complete the book. Her mother was 80 when we started the project and she is 94 now. She was 94 when the picture (above) was taken. They chose a simple platform for self-publication proving that no matter what your goals are for your own cookbook, you can do it! My Mother has rewritten her recipes in her own format since she began to cook. She has always said she wanted to write her recipes into a cookbook. She had been an excellent secretary and typist in her time but never used a computer. I knew that if her cookbook were to ever to be written she would need some help, so I volunteered to help her. At first it was only going to be for family and friends, but as we worked on it we realized that the format was so special and easy to follow, we should share it with the world and decided to have it published. You self-published your cookbook. How did you get your book printed? I used Word Association. I found them on line. They are book publishers for self-published book authors. You might understand more from their website, but I will tell you why we picked them. My mother and I wrote our cookbook together, and we were very specific about the way we wanted it to look. We wanted our book spiral bound on the top, we wanted certain recipes in certain places, and we wanted our cover to look the way we wanted it to. Why did you choose Word Association? We considered just having it printed and doing the rest ourselves, but Word Association offered things we knew nothing about such as obtaining an ISBN number, listing it with Amazon and Barnes and Noble, listing it with the Library of Congress and the list of books published that year. They had a list of things we could choose from as far as editing, proofreading, binding, design, marketing, etc. with charges for each. We chose what we wanted and they worked very well with us and gave us exactly what we wanted. They also provide advice which has proven to be invaluable. Proofread at least 10 times more than you think it needs. Have other people proofread and then proofread 3 more times. Since you know what it is supposed to say, it is very easy to miss type-o’s. 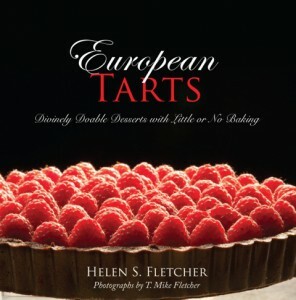 Helen is not a first-time cookbook author. 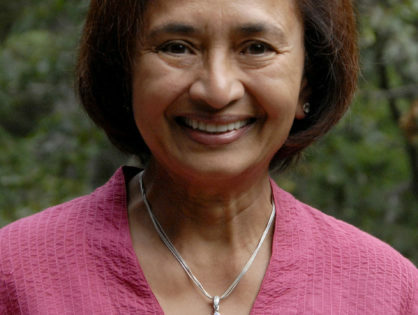 She wrote her first book in 1986. But, because she loves to bake, she operated a wholesale bakery for 22 years. Even with running her bakery being able to write and teach were always her first loves. In this interview Helen speaks candidly about the challenges of marketing a book, placing photography in a self-published book, and the importance of building your author platform. Thanks, Helen, for providing this interview. No. My first cookbook, The New Pastry Cook, was published by William Morrow & Co. in 1986. Did you have a food blog prior to your cookbook? For the first one no. For the second one yes, www.theardentcook.com. As much as I love cooking and pastry, writing and teaching remain my first loves. I wrote for magazines such as Chocolatier, The Pleasures of Cooking (Cuisinart publication), Bon Appetit and AARP prior to starting my upscale bakery, Truffles, Inc. in 1987. It was an upscale wholesale bakery that serviced, hotels, restaurants and caterers. All of the pastries were made by hand. The bakery closed in 2009. I had proposed a book based on the bakery but after two years, my agent was unable to come up with a publisher despite the fact that it was written by a professional. So I decided to break the book into several books based on the chapters. This book was the sample chapter that was sent with the proposal. I am of the opinion that writing a book is the easiest part – marketing is the most difficult. Write from the perspective of your targeted market. Who is your book meant for? It is easy to say everyone, but each book should have a profile of it’s reader, including the age of the reader, how advanced or not they are, is the book a collection of your favorite recipes, does it teach? What do you want to impart? However, even more important is how and where are you going to market the book? Marketing is the only way people are going to find out about the book. TV? Radio? Blogs? Book Signings? Gift Shops? Specialty shops? Internet? Book Signings, Newspapers – all of these are important. The marketing plan should start way before the book comes out. My books are learning books and, as such, require a lot of photography. Because CreateSpace allows 10 color photographs included in the price, it became necessary for me to find another way to publish the enormous number of additional photographs. So there is a companion blog to hold the how-to photographs to assist the readers. One of the reasons for publishing this slim volume was to learn how to self publish so the larger books to follow would be easier. There were many reasons I wanted to write a cookbook. My mother was my inspiration; she published a popular regional recipe book, Cocinando en San German and she also translated it to English, Cooking in San German. She also hosted one of the first live cooking shows in Puerto Rican television. After I left a long career in the long-term-care corporate world I decided to write about what I know best, food and nutrition and the work I’ve developed during my 50 years as an RD. My goal was to leave my knowledge behind for others to benefit from it. Lauren sent me an email to ask to participate in this cookbook author series. Through our email exchange I discovered that her father was born in my hometown of Lexington, KY. I also learned that Lauren is one of those cookbook authors who took a situation she faced in her own life and wrote a cookbook about it. Her need to eat food that was wheat- and dairy-free drove her desire to write and self-publish her own cookbook. Lauren knows her books makes a difference in the lives of others and is happy to offer good advice to any aspiring cookbook author: That with passion, motivation, and perseverance they too can write their own cookbook. What POD company did you use and why? iUniverse because they were affordable and offered POD. In total I spent $10,000. 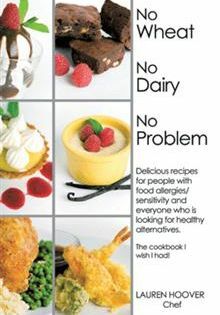 Yes, I built and launched the blog, www.NoWheatNoDairyNoProblem.com, 3 months prior to the release of my cookbook, No Wheat No Dairy No Problem. 8 years to test recipes on my time off while getting a bachelors degree and working in the food business. are not what they use to be and probably not worth your time and effort. If you can start part time then do it. If you have the luxury of writing a cookbook full time then, go for it. Most importantly, you need to test your recipes. It is really important to have something that is unique. book in the format according to their specifications. What was your biggest challenge in using POD to publish your cookbook? 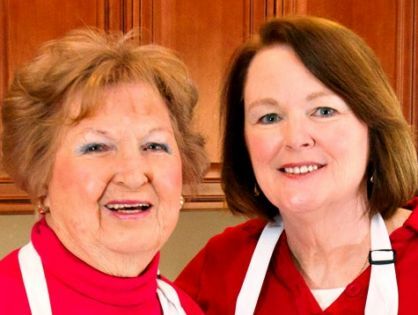 Although Julia and I are both members of the IACP (International Association of Culinary Professionals) it was through the Cookbook Writers group on LinkedIn that Julia and I bumped into each other. I had written a request for cookbook authors to participate in my Cookbook Author Interview Series and Julia enthusiastically responded. Julia works with a literary agent and she has written two cookbooks. She just completed an online video series as a companion to her second book, which is an exciting way to make content more visual. It’s great to welcome Julia! She’ll show you what can be built when you take the time to learn, put yourself out there, and grow as a cookbook author and promoter of your book. I have two cookbooks. 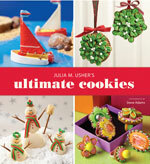 The first was published in 2009 and is called Cookie Swap: Creative Treats to Share Throughout the Year. It’s currently in its ninth printing and was the winner of three Cordon d’ Or Culinary Academy Awards. 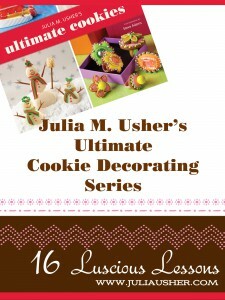 My second book, Julia M. Usher’s Ultimate Cookies, was released last fall and I have just launched a companion online video series that complements the cookie decorating techniques discussed in that book. Yes. Well, The Home Preserving Bible is the first book I’ve written that was actually published. I’ve had at least 2 others, one never quite materialized, the other never found a publisher. It’s been a long time coming. I belong to FreelanceSuccess.com and an agent posted a notice in the newsletter about needing an author for a book about preserving food. I have an extensive background in food preservation and food science, applied for the opportunity, and was accepted by the publisher as the author for the book. Prior to The Home Preserving Bible, I had written a proposal for a “baby boomer” memoir/cookbook that was accepted by a (different) agent who shopped it around for a couple years without finding a publisher. Many, many years ago (…before Perla Meyers was popular…) I wrote and tested a pretty good chunk of recipes for a seasonal cookbook, but never finished or moved forward with it. Ms. Meyers can be credited with helping to insight the seasonal craze with her book The Seasonal Kitchen in 1973. But, I digress…. Prior to this book, I did not have an agent. Of course, I do now–the agent and the book happened at the same time, because I responded to her request to write a specific book for a specific publisher. Maybe, not necessarily. But, they absolutely need a “platform” for their demonstrated expertise, which might be a well-followed blog, or something else, such as a restaurant associated with the topic, or whatever (e.g. Ina Garten and her 20 years as proprietor of the Hamptons food shop, The Barefoot Contessa). 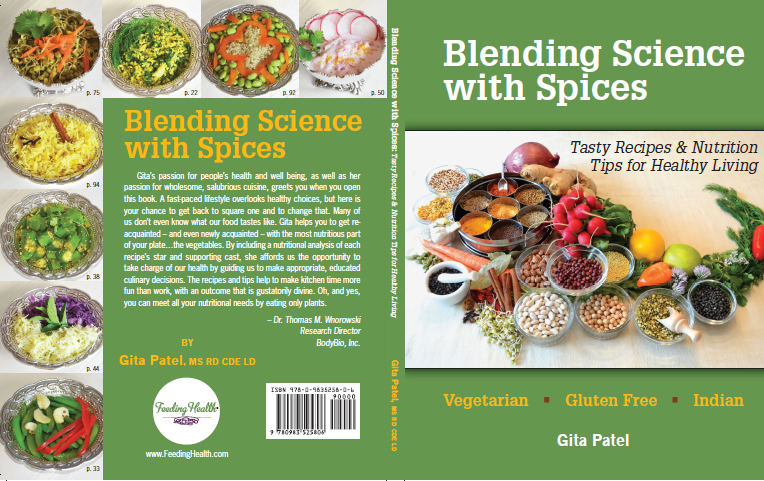 The publisher considered me for this book because I had topical experience in the food business and as a cooking instructor, education as a food scientist, deep (professional and personal) expertise in the subject, AND demonstrated writing ability by providing a sample chapter. I have been turned down for other books because, despite deep expertise, did not have enough of a platform. 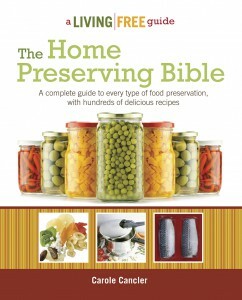 Of course, after I wrote the book, I started HomePreservingBible.com, an associated website/blog to market and promote the book. So, the short answer to this question, after all, is “yes”, sooner or later you need a blog. It’s a 21st Cenury requirement. Nope, I’m currently working on the West Virginia Hometown Cookbook. This will be the seventh title in the Hometown cook book series that I co-author with Shelia Simmons. My first cookbook was Smoke in the Mountains – The Art of Appalachian Barbecue, that was followed by Checkered Flag Cooking which was a tailgating book geared towards NASCAR and ARCA racing fans. Those were with a different publisher. I’ve also written and illustrated two books for kids. One is an early reader titled Big Mo’s Tennis Ball Hunt. It’s a seek and find book based on our golden retriever named Moses, or Big Mo. The second is a book based on the crazy number of questions that my son asked while sitting in the back seat of the car. He was often my back seat travel buddy during foodie or work trips in the Appalachian Mountains and surrounding area. It’s titled Why are the Mountains Smoky? I’ve handed a World War II culinary history book that I sold to the publisher and recently sold a book about a World War II battleship and her crew. That’s eleven books so far all of which are traditionally published. The first two sold on the same day. One was a cookbook – Smoke in the Mountains – and the other was the first children’s book – Why are the Mountains Smoky? I’ve worked in journalism and sports writing for years. I’m also a chef. Somehow all of these things came together when my son dared me to enter a Food Network Emeril Live Barbecue Contest… I won! During some tapings with Food Network and Emeril one of the producers told me that he saw me as a genuine person, I told great stories and that I listened to other people when they told their stories. He said… “You should write some books!” I started putting together some notes and interviews that I had done with pit masters, barbecue chefs, mom and pop restaurant owners. All were wonderful people that I met while traveling covering NASACAR, golf or college football. I also ate a bunch of barbecue along the way. That turned into a book proposal. At the same time my young son, now older and in the Army, was asking all of these questions about trees, animals, clouds, snakes, people, places and more about the Smoky Mountain region. Suddenly I had two book proposals going. One was about mountain barbecue and the people behind the food and the other was a Q&A kid’s book about the Smoky Mountain region. I sent both proposals off to a few publishers. I was offered a contract for each book on the same day by two different publishers. It sounds easy but before that I had my fair share of rejections on other projects. 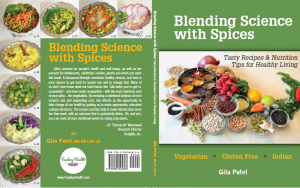 Cookbook Author Interview: Patricia Gambarelli: Do You Have A Passion For Cooking And Can Add More Than A Recipe To The Printed Page? I started my food blog shortly after the publication of the pasta book. Unfortunately, I have not kept pace with the blog-The Four Seasons of Gourmet Entertaining has me swamped, but I hope to focus on my blog again in the near future. Although I majored in Chemistry in college, my real choice would have been to be an English Major. In my professional career in chemistry, I always seem to gravitate toward the printed word, either as the editor of the in-house newspaper or writing technical proposals. When I retired, writing about cooking came front and center. I started a cooking school which led once again to the printed page. I reviewed restaurants in Manhattan, wrote for a Long Island newspaper. When I moved to North Carolina, I wrote a weekly food column, “Let’s Cook” for the Brunswick Beacon for three years. The path led me to creating a Gourmet Club in my community which ultimately led to the Gourmet book. (see about the Gourmet Club below.) When I decided to turn over the reins of the Gourmet Club to a few of the members-15 years is a long time to create menus for 4 course dinners four times a year. Looking back on the dinners stored in my computer, I decided to publish them in a book. The added incentive was the introductory remarks written to introduce the recipes. It seemed an easy path to the book. Ha! Tell me more about the Gourmet Club. In September 1997, we organized the Gourmet Club, never dreaming that it would endure for fifteen years. Fifty-six aspiring cooks signed on, committed to dining together six times during the year. I selected the recipes, had them printed, and hand-delivered them to each participant. We created groups of four couples per group, the host preparing the main course, and the other three couples, the appetizer, first course and dessert. It became quickly apparent that the format took the stress out of preparing an elegant dinner for eight. Now, there was time for the hostess to fashion a lovely table setting with beautiful flowers. One rigid rule is still in place today. Each couple brings a fine bottle of wine that matches the menu. Friendship, however, became the most important ingredient that we brought to the Gourmet table. As a member of the Cookbook Writers Group on LinkedIn I enjoy connecting with cookbook authors around the world who are willing to share their cookbook publishing journeys. 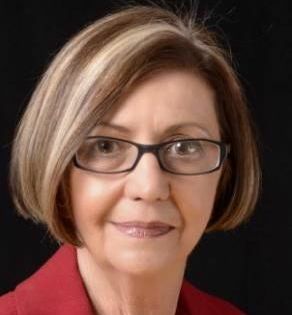 Beverly Noble is an author I connected with on LinkedIn. She self-published her book and used a print broker when it was time to get her book printed. She also worked with her husband on the photography for the book. All of this shows someone who wants to write a cookbook that self-publishing is doable. Tell me a little bit about yourself and why you wanted to write a cookbook? I have been cooking for family and friends since I was 8 and received a child’s cookbook for a birthday present. I was so proud to make a real meal for the family (with a little coaching from Mom, of course!) I started collecting recipes in my 20s, and soon after creating my own variations. Later, my husband’s illness caused me to review old favorites, and modify them. I started to just make a simple handout for family and friends, then it grew into a series of “real” cookbooks. I fell in love with the flavor of fresh fruit when my family moved from Alaska to California. We had grown up on canned fruit, other than a brief wild berry season in the fall. So tasting fresh strawberries, peaches, and cherries for the first time was incredible. Later, I lived in the central valley of California, surrounded by acres of farms which supply most of America with fresh fruit. The abundance and availability inspired me to find new uses beyond the desserts which neither my husband or myself could eat. 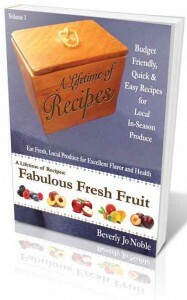 A Lifetime of Recipes: Fabulous Fresh Fruit. I’m currently working on A Lifetime of Recipes: Love Thy Veggies. Who is the audience for you cookbook? People who want to reduce their use of commercial sauces and prepared food products and start cooking from scratch. Think about the marketing before you start, and develop a plan. Get professional help if you don’t have any marketing experience. Be very clear as to who your target market is, how they like to communicate, and the contacts you have within that community. If you are computer savvy, Adobe’s InDesign is a great program to turn a word document into a press-ready book. Cookbooks need pictures! We couldn’t afford a professional photographer, so my husband took the pictures and used Photoshop for cropping and to re-format from RGB to CMYK. Consider taking a class or two at a community college to learn the software; it will save you time, money, and headaches! Can you explain more regarding the photography about “re-format from RGB to CMYK”? Because I’m a RD (registered dietitian) I have the opportunity to network with other RD’s who have written cookbooks. RD’s bring an interesting perspective to food and cooking because we are experts in science-based nutrition therapy. 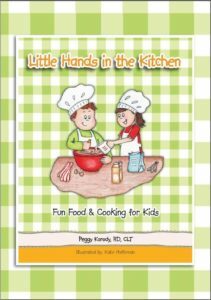 Peggy Korody, RD accepted my offer for an interview about her cookbook “Little Hands in the Kitchen”. Peggy used POD (print on demand) for her book and as far as a publishing choice for her book. This didn’t meet her expectations and she felt the “rules changed along the way”. 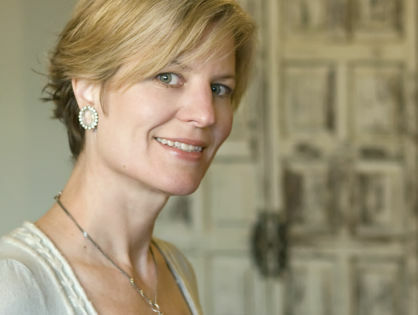 Read her interview as Peggy offers good advice about POD and her plans for her next 2 cookbooks. I have a website that I post recipes. I also blog and write about nutrition on my website RD4Health.com. It’s a book to get kids in the kitchen early so they don’t have a fear of trying new foods. The first 3 chapters are for the parents to explain nutrition by age, why all the food groups, ideas for field trips, etc. The recipe chapters are set up for the “Little Chefs”, it lists the tools needed, the ingredients, and at the end of each recipe I give ideas of how to make this dish a “MyPlate” dish. I love to cook and this book is “my” story of how I raised my two sons. They both are good cooks and understand what is necessary for a healthful meal. Also, I often created a cookbook just for my family for Christmas presents, and it’s fun to see my sisters using my cookbook when I go back to Michigan to visit. Everyone encouraged me to write a “real” cookbook. Do your research. Unfortunately, I did not do enough. I was persuaded to go POD and in the long run it was very expensive, I had little control, the rules were always changing. All in all a bad experience. Time! Cookbooks are time consuming, you have to experiment with dishes (which is the fun part), but then you need to fine tune them, exact measurements, etc. I had my son help me take the photos, just bought him a new camera for my next cookbook! What was your biggest challenge in self-publishing your cookbook? Marketing! And as I said before choosing the right company to work with, I will never do a POD book again. Any thoughts you’d like to share on the marketing and publicity for your cookbook? This is my first cookbook. I do not have a food blog now nor did I have one prior to writing and publishing. However, I had taught Nutrition through Vegetarian Indian cooking for over 10 years during the years my children were growing up. My patients were the driving force behind this project. I found myself giving the same advise, recipes and tips, over and over again, to my patients and finally decided to go ahead with the project of writing and self-publishing. The advice I would give to an aspiring cookbook author is to buy Julie Beyer’s book. 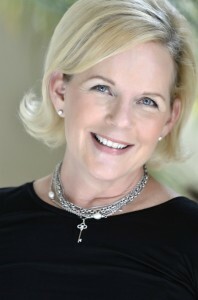 Julie Beyer, MA, RD, CWPC has self-published You CAN Write a Book: The No-Nonsense Guide to Self-Publishing. I wasted a lot of time reading lengthy books and articles that got me nowhere. Here is a short and to the point no-nonsense guide. www.ic-diet.com. This book was a big help. You can read it in one sitting. Now, you only need the motivation and discipline to go ahead and write. The biggest challenge in writing a cookbook was making a commitment and making time to both write and test the recipes as I went along. I was seeing patients and working while cooking and writing. It takes discipline and commitment of time but it is all very worth it when you have completed your writing project. With Julie’s book publishing decisions were a breeze. Very clearly defined pros and cons for various options. Decision was very easy.